Vegas is a city that got built upon entertainment and has managed to establish itself as one of the best cities for fun, from the USA. Its reputation when it comes to gambling it’s known all over the world, being the most famous gambling city on the globe. Vegas also has some of the finest dining places from the states. These venues are often incorporated within a casino, allowing you to be in close proximity to all the gambling and never miss out on the fun. Anyway, with today’s technology you can play from anywhere games such as Book of Ra Online or Sizzling Hot, and never have to take a break from the fun of the gambling world. Vegas is also known for its love for eye-grabbing things, luxury, and uniqueness. Thus, Vegas has no shortage of modern art and impressive architecture, and that can be very well seen in things as common as restaurants. This city takes a simple concept such as a restaurant and makes it amazing. Because of that, we prepared a list with Vegas restaurants that have the most unique architecture, that will surely make you desire to visit them. Remember when I mentioned uniqueness above? Well, what Aureole has managed to do with their venue is nothing but unique. As part of this restaurant’s extravagant architecture is a tower-rack made out of 10000 wine bottles, that can be admired from anywhere inside the restaurant. The finest restaurant from Mandalay Bay, and one of the finest from the USA, Aureole is hosting around 3000 selections of wine, giving its guests plenty of room for choice. The restaurant received the Wine Spectator’s Grand Award each year for the last 20 years because of their wine selection. Beijing Noodle No. 9 is a restaurant with a Chinese theme and cuisine, located on the premise of one of the most famous casino resorts from the world, Caesars Palace. The location comes in handy because you can go straight from the gaming tables, through a corridor surrounded by six huge aquaria, and into the restaurant that it’s wrapped in Chinese flower motifs. The city throws you straight into the Chinese atmosphere, combining an architecture reminiscent of Beijing, with amazing Chinese cuisine. The restaurant has a huge 14 pages menu, allowing the guests to keep on trying new foods without running out of choices. Paris Las Vegas is nothing less than eye-catching, and so it is the Gordon Ramsay Steak restaurant, having one of the most exceptional entrances ever seen. Right at the entrance, the guests have to go through a miniature version of the Chunnel that connects England and France, making a reference to the fact that a British restaurant is hosted in a Parisian themed building. When it comes to food, there’s no doubt about quality, since the restaurant is owned by possibly the most famous chef in the world. Ramsay’s steakhouse is undoubtedly your to-go restaurant if British food is what you are looking for. Peppermill’s famous bar and restaurant, Fireside Lounge, is a widely known venue that was featured in numerous movies along the years, one of them being Casino 1995. Even if this is more of a bar than a restaurant, the venue serves food as well, ensuring its place on our list. The lounge, with its classic Vegas design, purple colors, and the key fire pit, allow the guest to feel as if they are visiting Vegas in the ’80s, the look of the lounge being very authentic, and representative of those times. If you think you’ve seen some bizarre architecture in your life, well, let me tell you that you’ve seen nothing yet. What the architects have done with Javier’s is truly impressive, building what they call “the world’s largest piece of chainsaw art.” One of the walls is wrapped around with 3,000 pounds worth of chainsaws, spread on four panels that are illustrating pieces of Mayan and Mexican history. 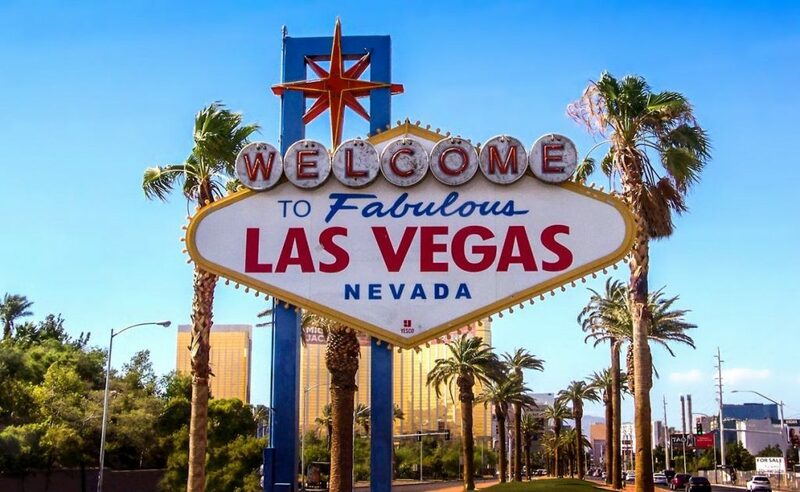 Vegas is undoubtedly an extravagant city, both the streets but also the venues being representative of its main values, being wrapped in head-turning architecture at all corners. Gambling is an important industry for Vegas, along with the dining one, and both have experienced plenty of growth and love over the years. The restaurants mentioned above are art pieces on their own, and we do hope that you find them interesting, and potentially worth to check out if possible.